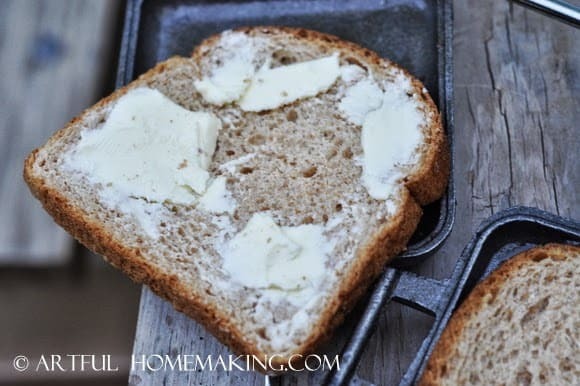 All you do is butter your bread slices, and put them in the pie iron with the buttered sides facing the iron. 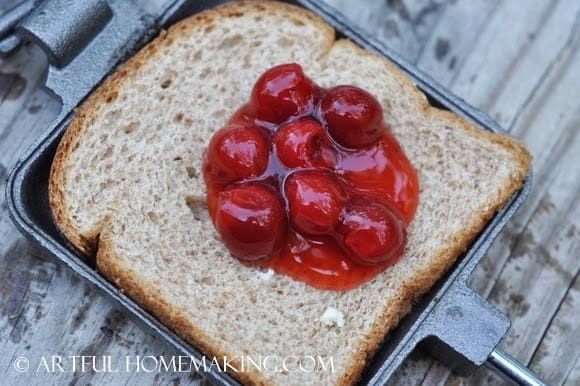 Then add a dollop of cherry pie filling to one piece of bread. 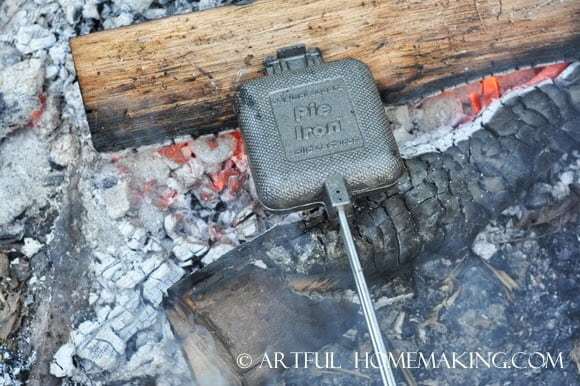 Put the two halves of the pie iron together, and stick it in the fire. And wait. Wait for the bread to get toasted and warm. This is the part the kids love. 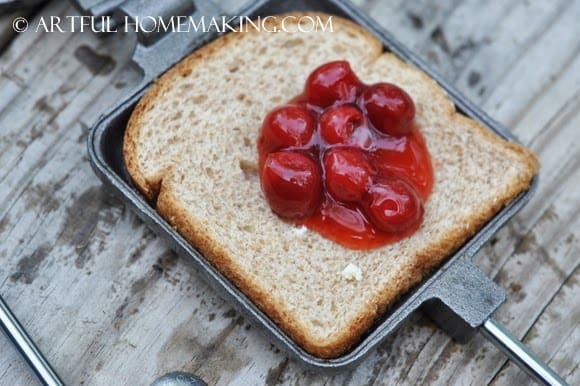 Sitting there by the fire holding onto the pie iron, anticipating all the delicious cherry flavor. like marshmallows and cherries roasted together. 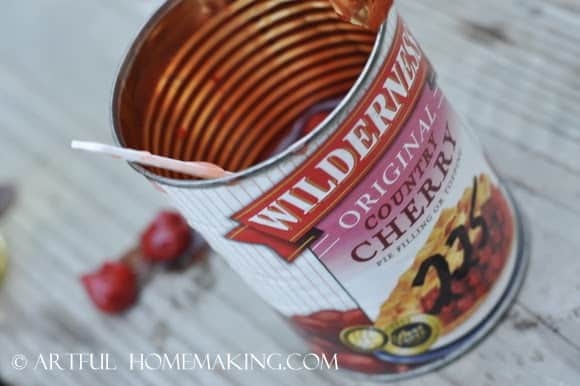 I was inspired to make these cherry pies from The Family Camping Handbook. 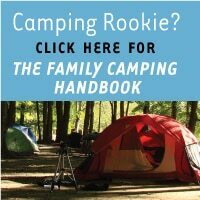 I love this book, and found it to be really helpful on our recent camping trip. I love this book, and that’s my affiliate link. If you choose to order through my link, I so much appreciate it! This post takes me back to my childhood. 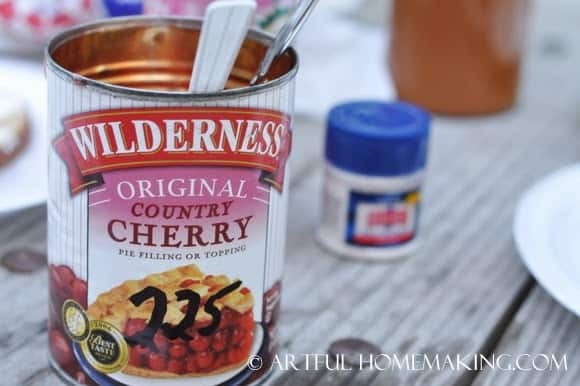 We made some kind of "pie" every camping trip. 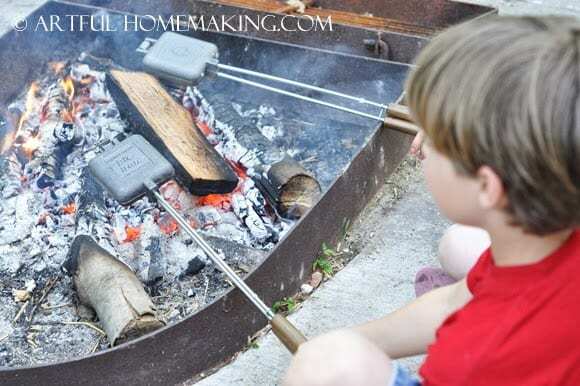 Pizza is easy and was popular with our family. 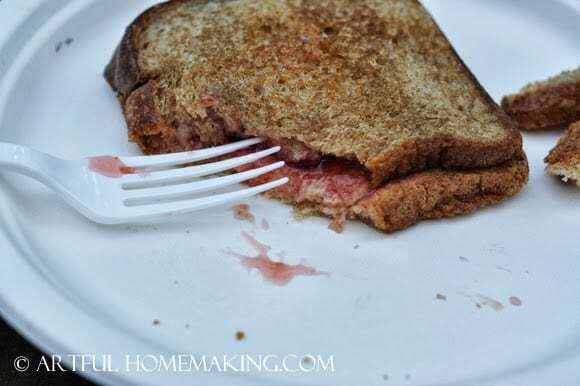 Our most "gourmet" attempt was hot Ruben sandwiches which were phenomenal! One of our family friends knew of my great love for pie irons and decided that the thing I needed, but failed to put on my wedding registry was my own set of pie irons and cook book. They took some creative wrapping, but it was a well appreciated and thoughtful gift. Wow, all of your pies sound amazing, Melanie! And that does sound like a very creative and thoughtful wedding gift! 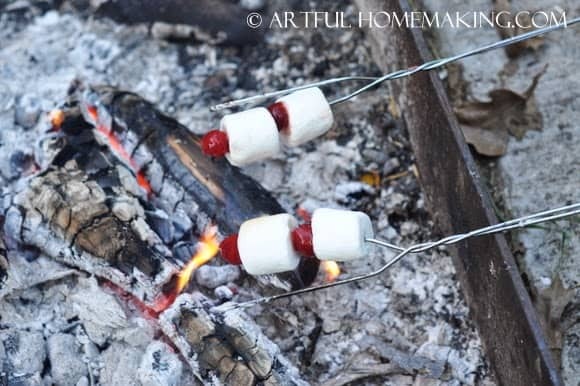 I hope to try some different fillings the next time we go camping! 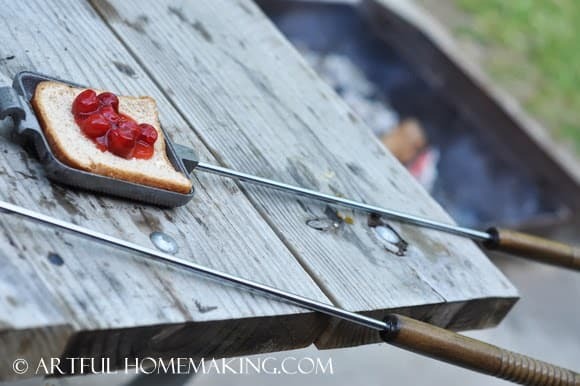 This was our first experience with the pie irons, and we thought it was so fun and we can't wait to make these again. Grilled cheese would be delicious!